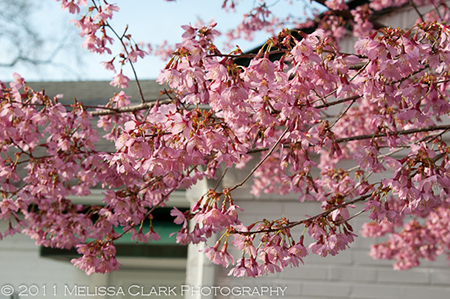 Today’s post is about the Okame cherry, which is one of the first cherry trees to bloom in my area. Its official Latin name is Prunus x incamp, but I always call it by its more easily-remembered common name, the Okame cherry. 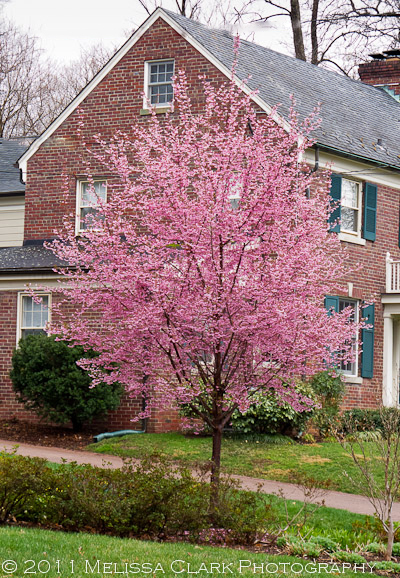 A cross between Prunus incisa and Prunus campanulata, this tree is one of the few cherry trees I am happy to recommend planting in a residential garden. 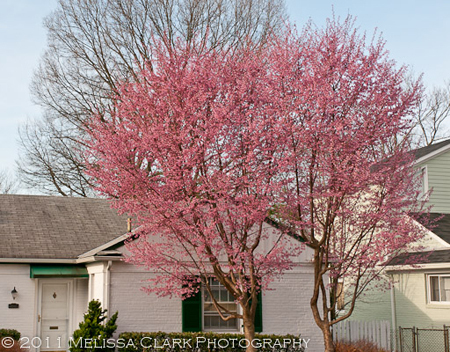 Because the blooms’ calyxes – which bud out before the blossoms appear – are also pink, the tree gives the appearance of being in bloom longer than is actually the case. 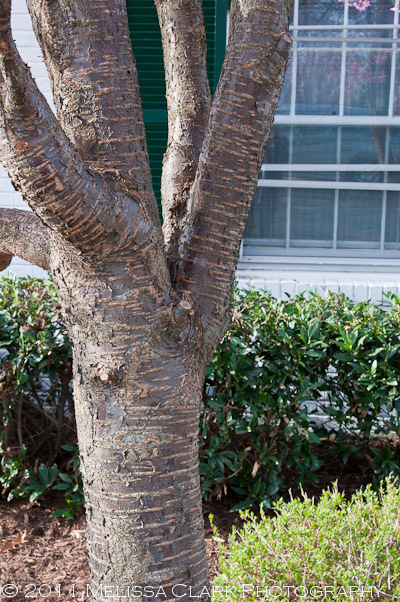 Like other cherries, Okames have distinctive horizontally-lenticiled bark. Note the horizontal banding on the Okame's bark. In the right site, Okames are fast growers. Don’t plant them too close together. At maturity, they can easily reach a width of 20-30′ (and a height of 15-20′, although I have seen them taller). In this garden, designed early on in my career, I made the mistake of planting two Okames less than 10' on center. Lesson learned, although the homeowner loves having them both. So do give them lots of sun and room to grow. Fall color? Not so much here, although apparently farther north the leaves will turn attractive hues of red and gold, if you’re lucky. Good for Southern gardens, too, I’ve read, since they have a low chilling requirement. 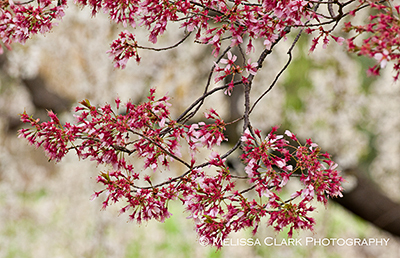 So if you’re looking for a tree that will give your garden an early start to spring, take a close look at the Okame. You won’t be sorry.